It Is A Beautiful,Quiet And Wild Himalayan Destination With Rich Natural Surroundings Among Dense Forest. 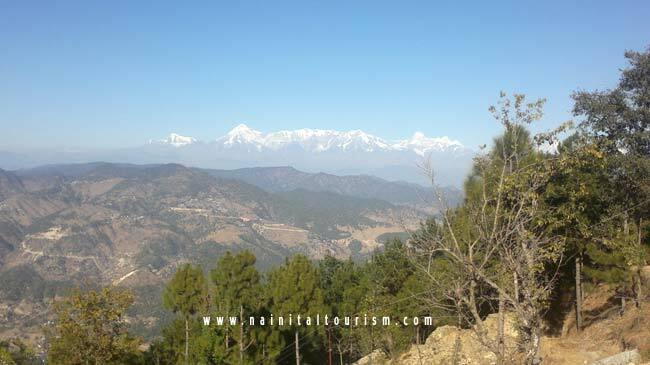 Binsar Is Perched On Top Of The Jhandi Dhar Hills. This Place Is Situated 33 Km North Of The Almora Town In The Uttarakhand State Of India. From Binsar One Can See The 300 Km Panoramic View Of The Himalayan Peaks Like Kedarnath Peak, Shivling, Trisul And Majestic Nanda Devi From A Place Called 'Zero Point'. Binsar Was The Summer Capital Of The Chand Kings, Who Ruled Over Kumaon, From 11th To 18th Centuries AD. 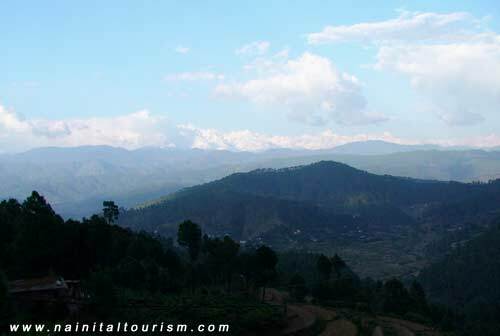 Binsar Is Also Noted For Mythological Warfare Between King Of Binsar And Golu Devata. Due To Some Confusion Golu Devata Was Beheaded And His Trunk Fell At Gairad Dana Golu Near Binsar National Park And His Head Felled At Kaparkahan Near Binsar. Both The Places Has Ancinent Temples Of Lord Golu. Binsar Wildlife Sanctuary Is Spread Over 45.59km² And Situated At An Altitude Varying 900 To 2500 Metres With An Average Height Of 2412 Mts. Binsar Is Rich In Its Flora And Fauna. The Slopes Have A Varying Expanse And The Terrain Has Been Shaped By The Action Of Running Water. The Sanctuary Lies Some 400-odd Kms North Of New Delhi On The Moradabad-Kathgodam-Almora Route, Some Mid-way Between Corbett National Park And Nanda Devi National Park. 1. Oak And Moist Mixed Deciduous Forests. 2. Temperate Moist Coniferous Forests Including Deodar And Blue Pine. 3. Sub-alpine Birch, Fir And Spruce Forests. 4. Sub-alpine Pasture And Scrub. Binsar Is Famous For It's Views Of The Snow Capped Himalayan Mountain Ranges, So One Can Sit Back And Enjoy The View While Savouring Your Favourite Drink. One Can Also Go Trekking With Abundant Nature Trails Available From Binsar. Binsar Also Houses A Forest Reserve With A Rich Diversity Of Flora And Fauna With Forests Of Oak And Rhododendron With A Large Species Of Flowers And Birds Along With Some Wild Animals. The Famous Temple Of Binsar Mahadev Is Also Nearby. 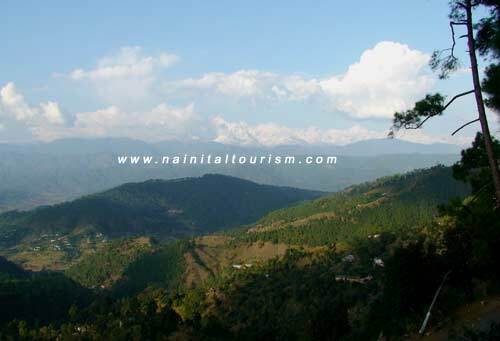 One Can Also Make A Detour To Nearby Places Like To Kausani, Ranikhet, Jageshwar Or Chowkori. Bineshwar Mahadev Temple Is The Temple From Which Binsar Derives Its Name. The Presiding Deity Of This Temple Is The Lord Shiva And It Was Built During The Prosperous Reign Of King Kalyan Chand; One Of The Scions Of The Chand Raja Dynasty. The Chand Rajas Had Their Summer Capital At Binsar And Bineshwar Mahadev Temple Is One Of The Few Constructions Dating Back To The 16th century Architectural Style That Are Still There In Binsar. Bineshwar Mahadev Temple Is Situated At A Distance Of 6 Kms from Ayarpani And It Is Convenient To Visit It On The Way To The Binsar Wildlife Sanctuary. Kasar Devi Temple Is Located At A Distance Of Around 9 Km From The Binsar, It Was The House For Dutch Monk From 1970 To Early 80s. It Is Said That This Temple Was The House For The Hippies And Hippie Culture Got Popular From Here. This Temple Is Still A Major Tourist Attraction For The Foreigners. The Climatic Conditions Prevailing In The Binsar Sanctuary Range From Temperate To Sub-arctic. Winters Are Very Cold And Heavy Snowfall Is Received. You Can Visit Binsar By Taxi Or By Tours & Travel Packages. 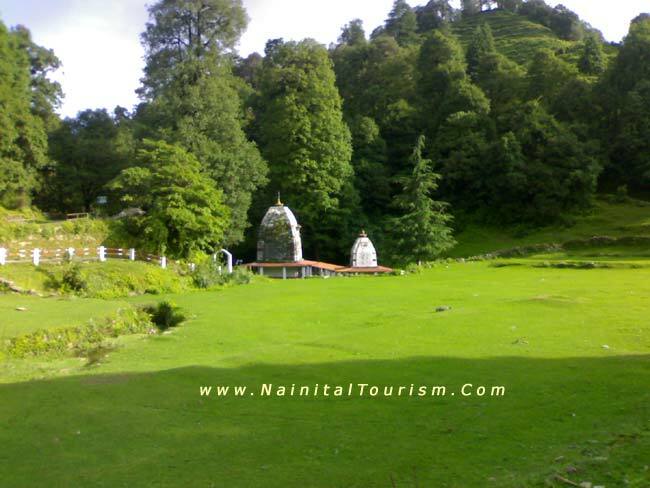 Nainital Tourism offers Transport & Online Booking Luxury - Deluxe And Budget In Various Hotels & Resorts in Binsar.